Custom craftsman Melrose home offers 7048 SF, 5 en suite bds, 5.1 baths, exec. office & guest apt. Chef's kitchen open to family room w/island, double ovens, butler's pantry & granite counters. Spacious mstr suite features fabulous master bath w/stone shower surround, jetted tub & double vanities. 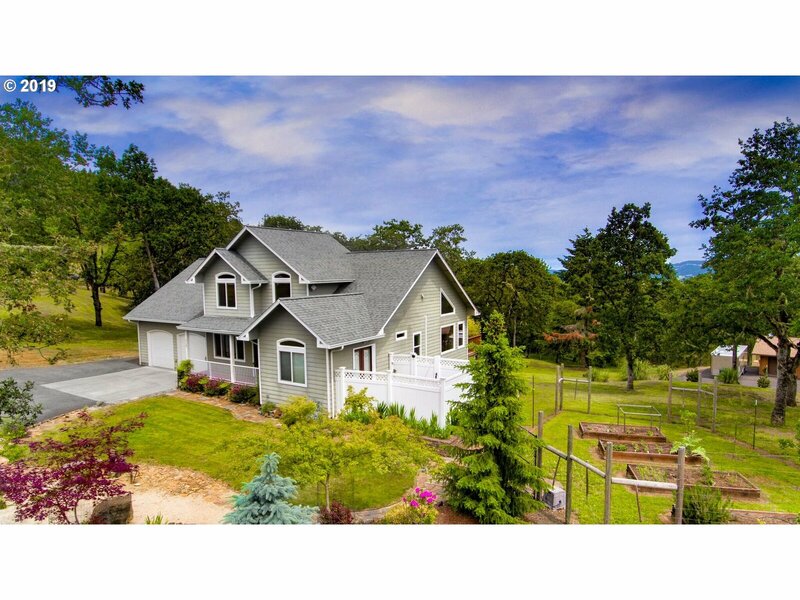 Outdoor living space includes gorgeous views, covered lanai w/frplc, hot tub & outdoor shower. Well irrigation, fruit trees & cov RV storage. 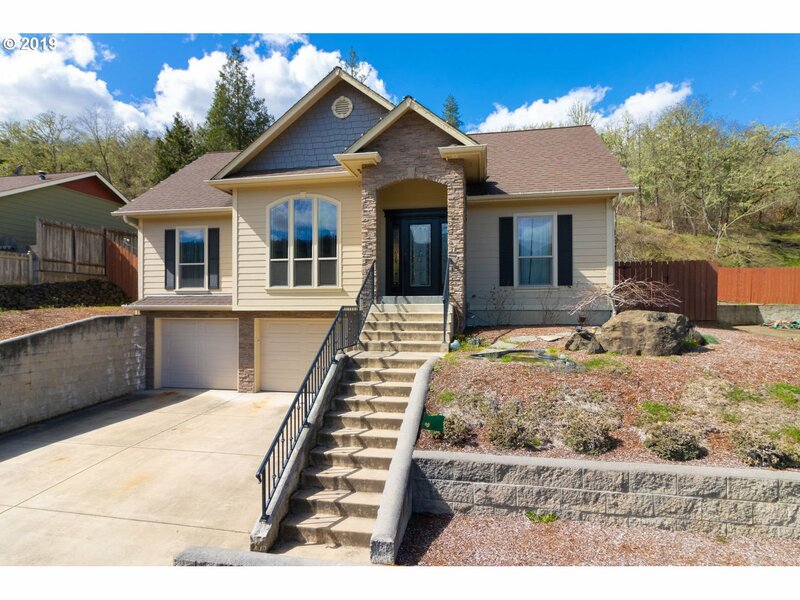 You will love to come home to this impressive custom home featuring an open floor plan w/high ceilings, crown moulding, cozy fireplace, 3 beds/3 baths + media room w/theater lighting. Gorgeous kitchen w/island, skylight, granite counters & SS appliances. Master suite w/walk in closet, jetted tub & tile shower. Freshly painted interior. 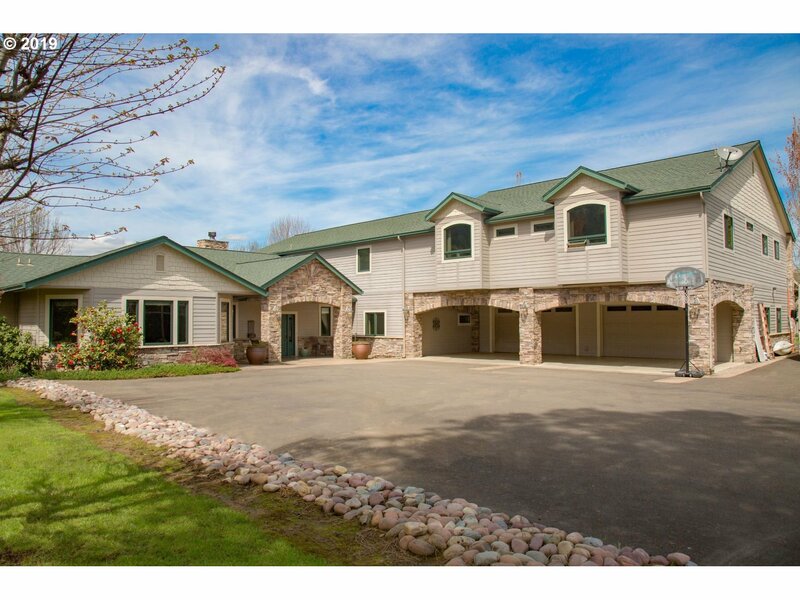 Over-sized 2 car garage, spacious covered lanai, raised beds and room for a garden. 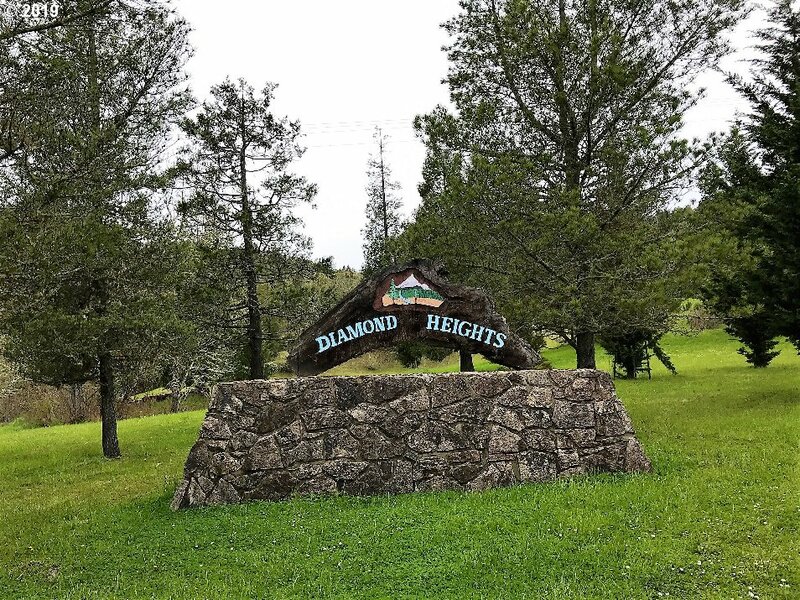 Superior location and highest lot in Diamond Heights! 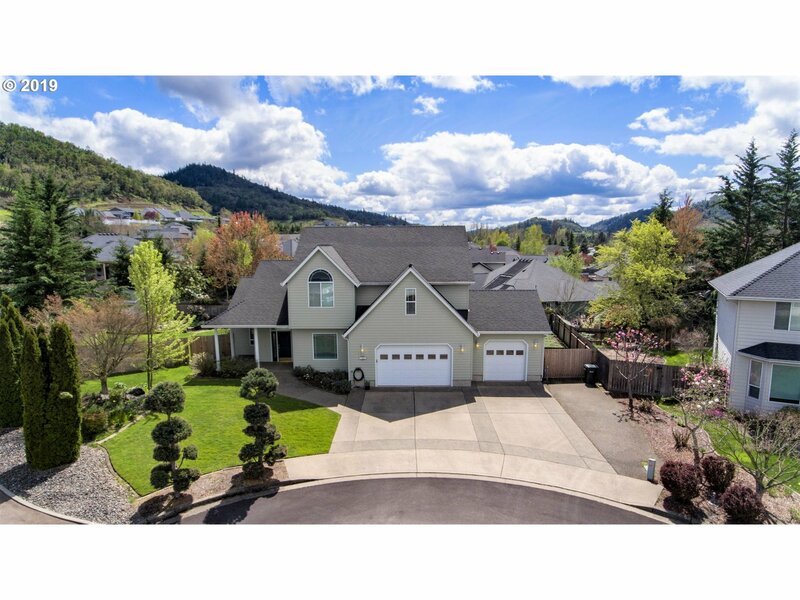 Impressive views from Melrose over city of Roseburg to Lookingglass Rd with view cut. Road access through locked gate to level building area. Water tower (UBW) located near entry at top of lot..